I got another Rose Star block finished over this past week. 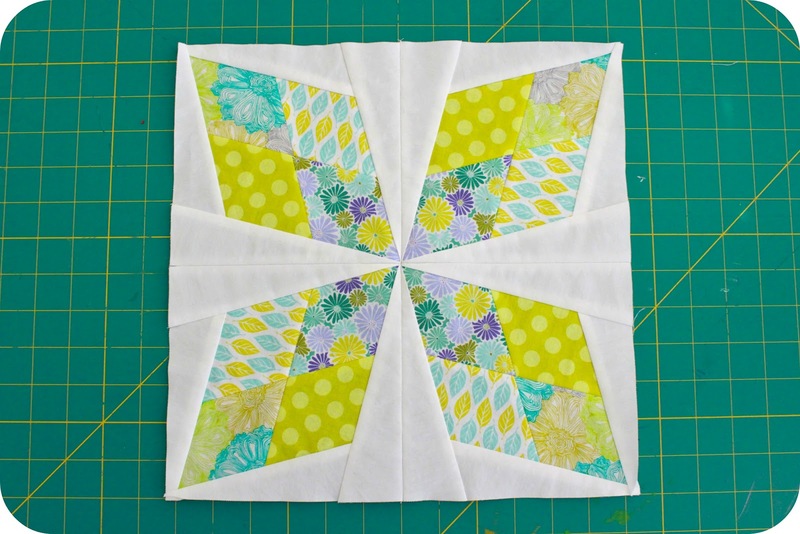 I have definitely found that by doing the design work ahead of time, Rose Star blocks make an awesome take-a-long project that you can work on during found time. 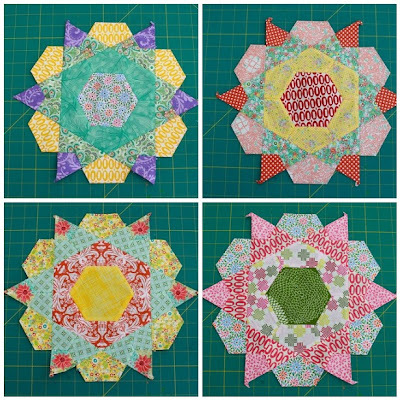 Here are the other Rose Star blocks I've made. I'm not sure how many I'm shooting for, so I'll just keep working on them as a side project. I've also been making some Summer Sampler Series blocks to swap with Austin Modern Quilt Guild members. I've been having so much fun making them, that I've decided to make some to keep as well. They've been great for pushing me out of my comfort zone and teaching me new skills. As is customary, the Storm at Sea quilt sits idly by. Sorry quilt. I'll get around to you one of these days. That's all I've got right now. I hope everyone is having a productive week. 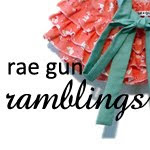 I'm linking up with Freshly Pieced, Sew Much Ado, Someday Crafts, and Rae Gun Ramblings. 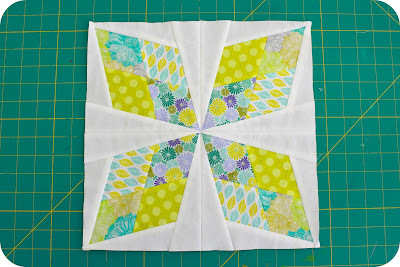 Those very same summer sampler blocks are next on my list of blocks to try. 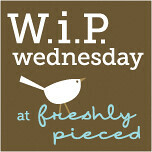 Love the colours that you chose, seeing yours makes me all the more keen to start! I'll wait for ever for your storm at sea quilt! I have started a little group sharing photos of quilting outdoors if you have any pics to share? Oh my!!! They are fabulous!! I love the color combinations! !